Costco’s relationship with the American Express card is coming to end. As of April 1, 2016, Costco will no longer accept American Express cards and their co-branded card will no longer serve as their Executive Membership card. The unusual partnership, in which Costco exclusively accepted AmEx cards, had driven a significant chunk of business to the New York card company. 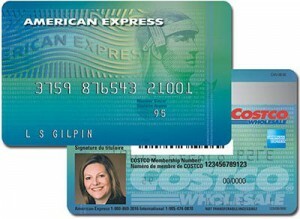 In addition, AmEx and Costco issued a credit card together that could also be used at other merchants. When the arrangement ends next year, millions of customers will be forced to use a different credit card when shopping at the wholesale store. Wondering how this change will affect my cash-back and executive membership, I gave Costco corporate a call this morning. I was told that the change will only affect the credit card, not the Executive Membership. Those of us with the executive membership (cost: $100) will still be in good standing, even when the AmEx relationship ends on April 1, 2016. I was also told that literature would go out in plenty of time to make whatever changes will be necessary. At this time, Costco has not announced which card company it will work with — or if it will still exclusively work with only one company. However, since Costco ended its relationship with AmEx in Canada last month in favor of Capital One and Mastercard, many are speculating that Costco will follow the same path in the US. Do you have an Executive Membership at Costco? How will this affect your decision to renew it? Do you plan to switch to the new card company, whatever it is? Or will you wait and see? If you like getting the best deals at Costco, you will also want to read my lists of the The 7 Best Deals at Costco — and the 5 Things I Never Buy at Costco. Be sure to check out this month’s Best Kosher Deals at Costco with the Costco Coupon Book. Waiting to see what happens. This should be interesting.